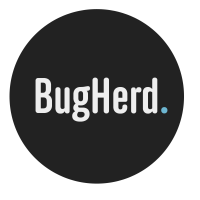 Embedding the BugHerd script directly into your site is the recommended way of using BugHerd. Although browser extensions are an easy way to get started, any members or guests on your project would need to do install them, too. But with the script already in your site this is no longer required, BugHerd is always there ready to use once a user is invited. The BugHerd widget can pretty much be placed anywhere within your HTML. There are few simple things to keep in mind, however. To get the best performance out of BugHerd, we recommend placing the embed script in your HEAD tags. Make sure you put the script in a Master page or your application-wide layout to ensure the widget is available on all your pages. You need to be logged into BugHerd (the website) in the same browser you use BugHerd (the widget). If you have any problems, please contact us at support@bugherd.com and we'll help you through the setup.